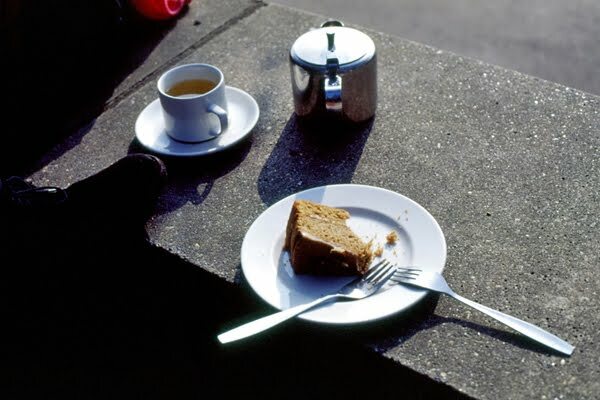 Tea & coffee cake go well together, especially when taken outside on a sunny spring afternoon beside the Thames. looks divine! those teapots are like the ones used in hong kong. mmm, brings back memories! well if you didn't say it! time to book a plane ticket, eh? wonderful photos. i will have to live vicariously through you for now! The colours are mesmerizing me. That yellow in the first one. Superb ! Fantastic, love the atmosphere in these! 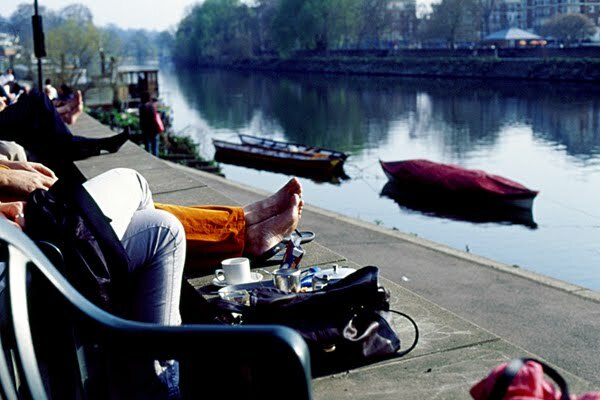 nothing better than sunny spring afternoons that look like this! 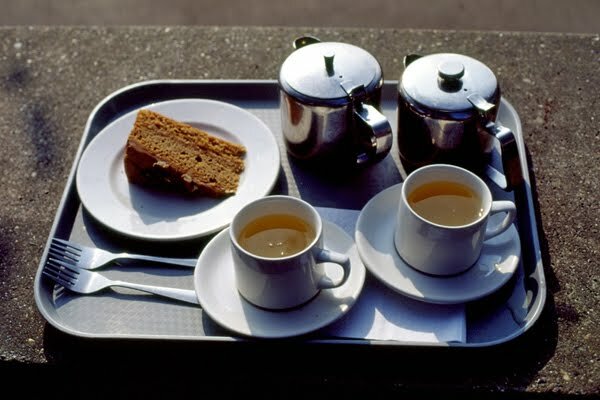 you don't get much better than tea and coffee cake. excellent shots, m.
Yes! Especially when enjoyed outside. Happy spring days to you. I am in love with the colours in the first picture, so rich and bright! Super!